How Far is Sree Hi-Tech Paddy Field Road? Sree Hitech Constructions brings the project Paddy Field Raod located in near Perambur railway station and Bus stand.In this project are designed with spacious and budget 1 & 2 bed room apartments with stilt + 2floors with lift facility and covered car parking 100% vasthu compliance. Three phase supply ,AC point in bedrooms,TV and Telephone point in Living & Master Bedroom,Geyser Point in Toilets,Exhaust Fan Point in toilets , Chimney point in kitchen,Phase change-over switches and 4 pole isolator with double door D.B & Modular swiches of Anchor Roma make provision for invertor in all rooms. Kitchen- Glazed tiles to a height of 2 feet above kitchen platform.Toilets - Glazed tiles to a height of 7 feet. OTIS brand lift will be provided up to 6 Passengers. 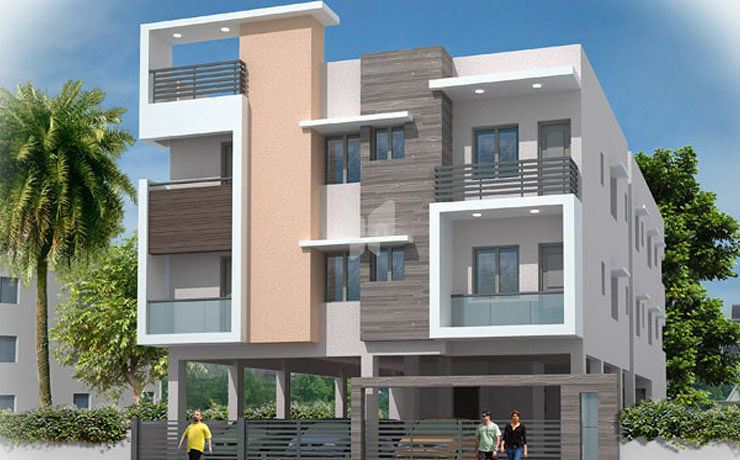 Established in the year 2004, Sree Hitech Constructions is a renowned promoter of flats and individual houses. Promoting affordable flats within the budget and delivering on time is our main objective. The flats we promote are well known for their easy access to everything that makes an urban setting so exciting—the Schools, shops, Bus stops, Colleges and Restaurants. Their central location provides relief from long commute times. At Sree Hitech we are proud to build homes incorporating the latest technology and standards ensuring that your new home will provide lasting value and comfort for years to come. The flats we promote are customized as per the customers’ requirement. They are spacious, well ventilated and build with all modern amenities. Our motto is to “Address the Essentials” of our esteemed customers. As a rapidly growing Flat Promoter in Chennai, we focus on delivering quality flats and apartments on agreed cost, on agreed time and fulfill the customer satisfaction. We have sufficient skilled workers and trust worthy suppliers to enable us to complete the quality construction in time.